The Altiverb 7.1 is delivered electronically. Order now and Phantom48 will e-mail you an official Audio Ease license code with download and registration instructions. Electronic delivery orders are normally processed within one business day or less. 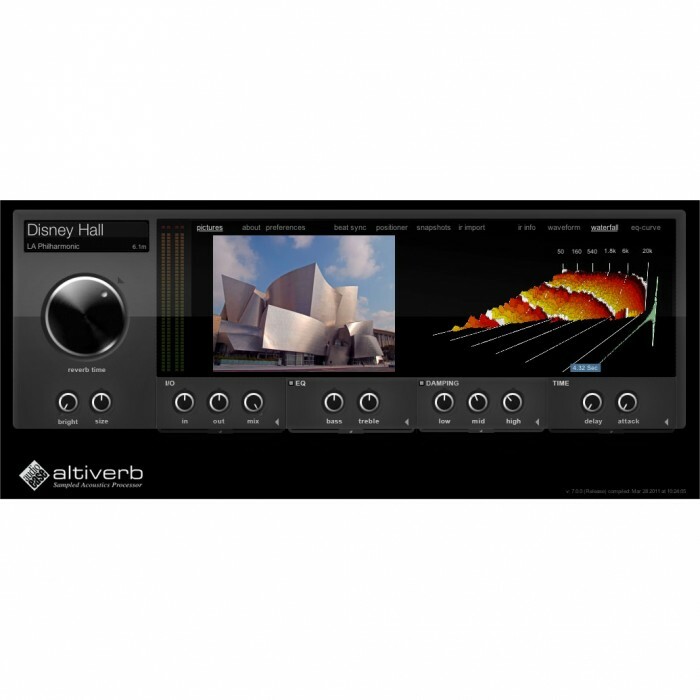 The Altiverb 7 plug-in for Windows has not been released yet. When you purchase Altiverb 7 today, Altiverb 6 for Windows is included. The future update to Altiverb 7 for Windows will be free. Altiverb 7 RTAS and Altiverb 7 XL RTAS and TDM both run fine in ProTools 11. Altiverb 7.1 does not yet support the new AAX format for the Avid HDX systems. This work is underway however it is unsure when it will release. Consequently we cannot say anything definitive about upgrade fees, if any at all. Altiverb 7 requires the iLok 2 USB Key (the black one with the blue LED).